So we find ourselves, our ways of telling unbalanced, trapped inside a runaway narrative, headed for the worst kind of encounter with reality. In such a moment, writers, artists, poets and storytellers of all kinds have a critical role to play. From The Dark Mountain Manifesto, 2009. 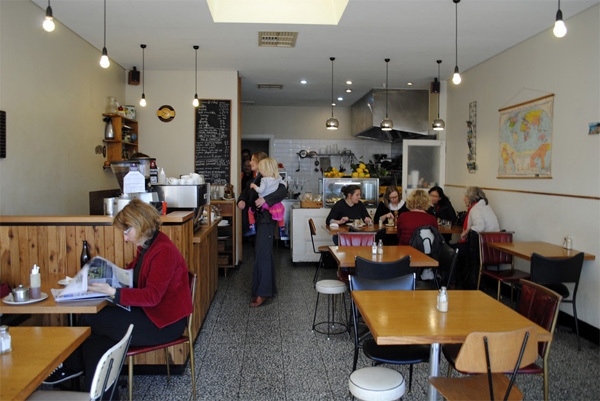 The story of Crunch café is a story of love, of a passion for good food, of the kind of creative ingenuity called for in overwhelmingly mediocre times, and of becoming an integral part of the community in which you find yourselves. 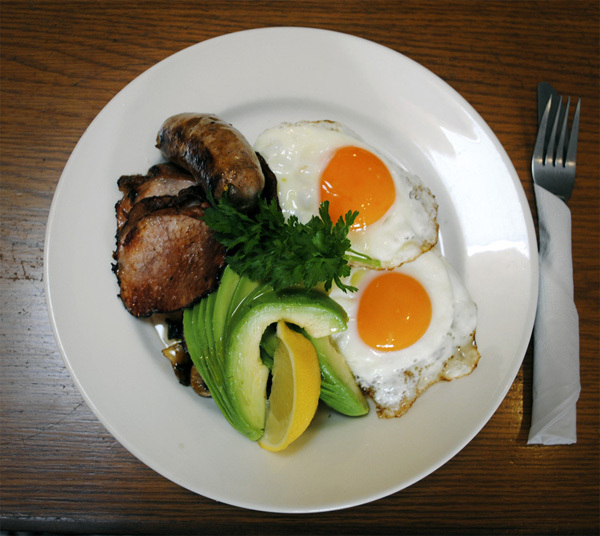 It’s also the story of the best big breakfast north of the river. 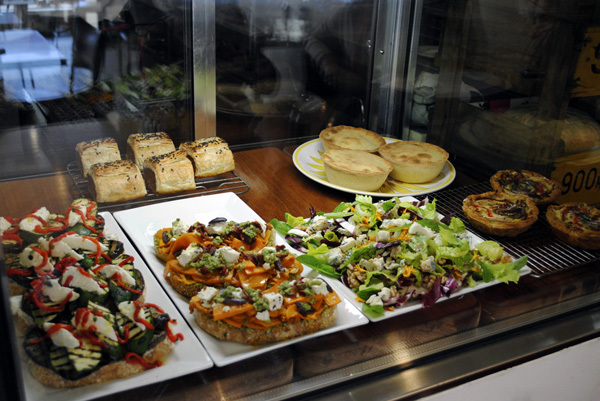 A selection of the homemade goodies available on a daily basis at Crunch. 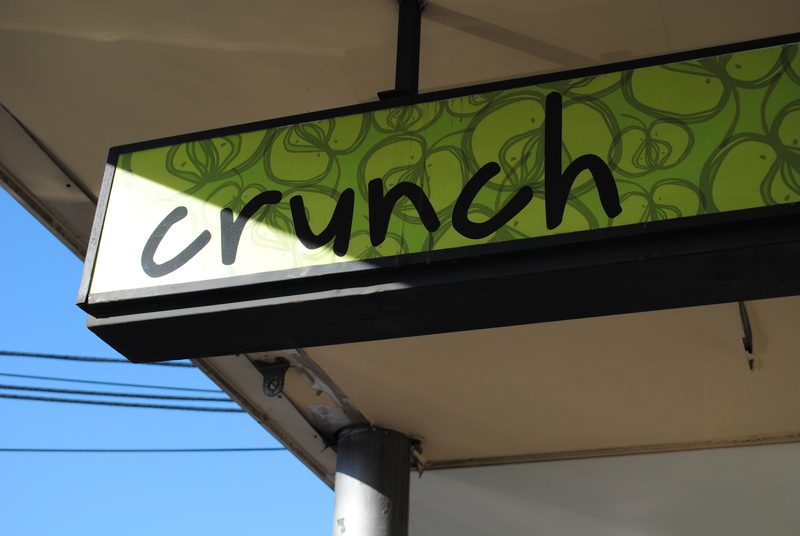 At the moment Crunch has a delicious salty green chilli paste on offer, alongside their usual range of condiments. This was a simple recipe that Mat came up with after being given a bounty of green chillies from a local garden. Using inspiration from the pots of dried chilli in oil you find on every table in Vietnamese Pho restaurants, Mat created this mellow fresh green version. 1/2 kilo green chillies, washed and with stalks removed (remove some of seeds if you are concerned about the heat; they can be added back in if you decide you want more towards the end). 1 cup olive oil/sunflower oil/your preferred oil (whatever oil really, as its flavour will be lost to the chillies). 2 tablespoons good salt (iodised table salt is not recommended). Lightly toast the coriander and fennel. Grind the spices and salt in a mortar and pestle or spice grinder. Put everything into a food processor and blend to a chunky paste. Put in sterilised jars and top up with some oil to cover. 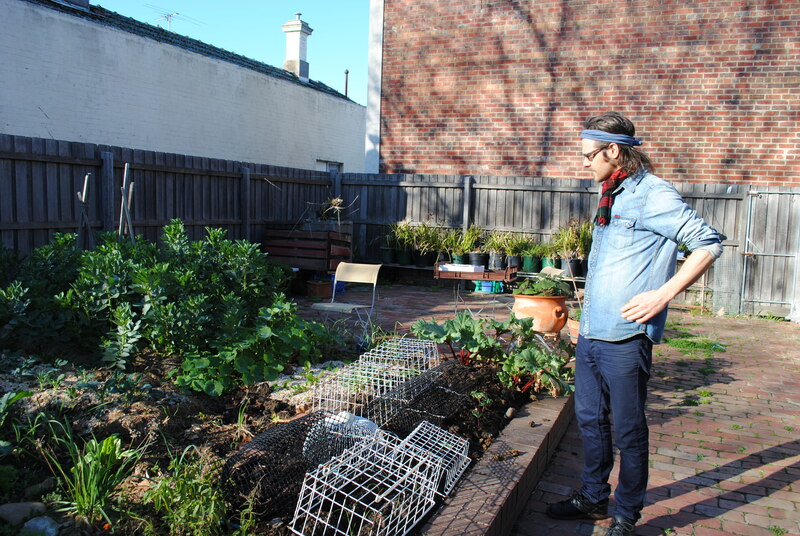 Mat in his adopted garden, across the road from Crunch. 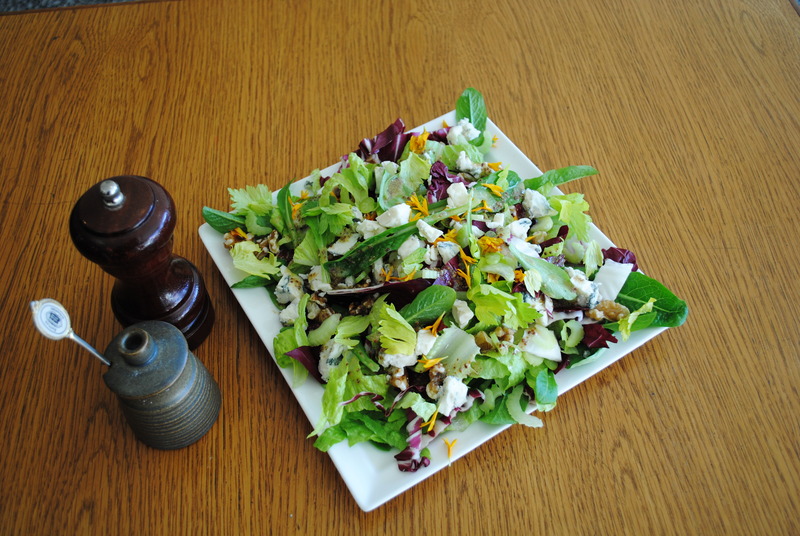 Mat’s homegrown Cos and Mache lettuce salad with Radicchio leaf, celery, walnuts and Gorgonzola. A simple wholegrain mustard vinegarette is used sparingly with marigold petals for colour. The feature image shows a bit of Crunch stuff, including a jar of Mat’s Salty Green Chilli Paste. This is a picture of my dog Albie. He's a 14-year-old Kelpie, and a retired working dog. You can find out more about me by reading my blogs. Thanks for visiting! Oh so true Jonathan. All of it. And the bit about you being his brother – that’s true too. I can vouch for the fact that the food is oh-so-tasty and oh-so-wholesome and I’m not just saying it because he’s my brother, she’s my sister-in-law and the twins my nephews. In fact, I’m saying it in spite of the fact that he’s my damn brother. It’s a shame I’m on the wrong side of the globe (or they are). Oh, and their barista takes his coffee very seriously too. Enter your email address to follow The Buzz and receive notifications of new posts by email.